The Griffin Survivor Case has been created to meet and exceed the US Department of Defense Standard 810F and the UK Department of Defense Standard 00-35, giving your smartphone all the protection it can possibly need. 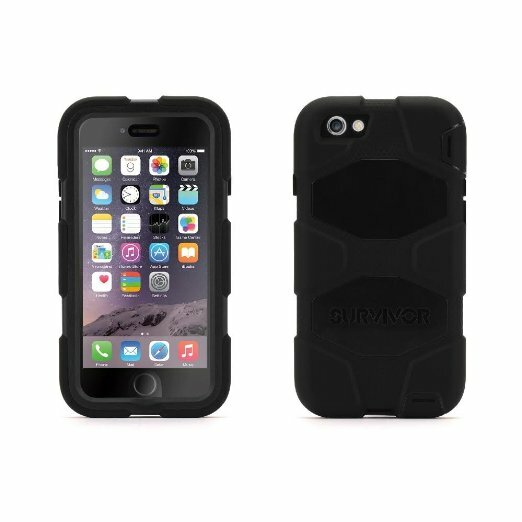 It features a safe design that has been created to safeguard your iPhone 4 from the inside out. Keeping your phone protected from extreme conditions, the case is built on a shatter-resistant polycarbonate frame that features a rugged and shock absorbing silicone cover. It also has a built-in screen protector and detachable heavy-duty clip that can be attached to a belt or bag strap for convenience of carrying your iPhone.